DeLena Ciamacco: The Real Estate Expert: DeLena Ciamacco Wishes Everyone A Happy Thanksgiving! DeLena Ciamacco Wishes Everyone A Happy Thanksgiving! 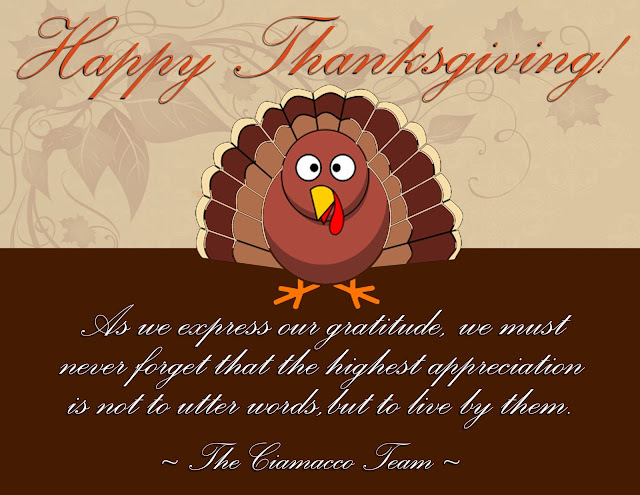 DeLena Ciamacco & The Ciamacco Team wishes everyone a wonderful Thanksgiving tomorrow!